Firstly, our pets can't speak, they cannot tell us if they feel off color or unwell or have any other indicators of internal illness. We need to examine them once a year as well as run some routine screening tests to detect underlying disease BEFORE it is clinically apparent. Our doctors recommend a comprehensive blood and urine panel once a year for every geriatric patient. 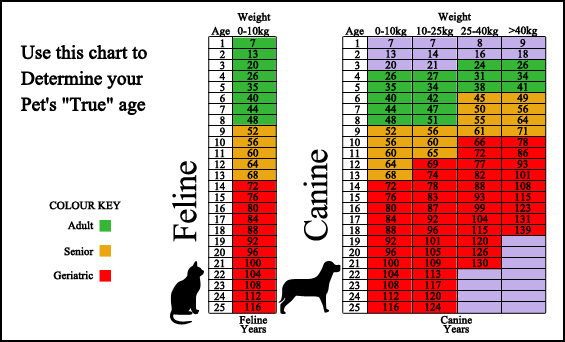 We consider every dog or cat that is 8 years of age or older to fit in this category.